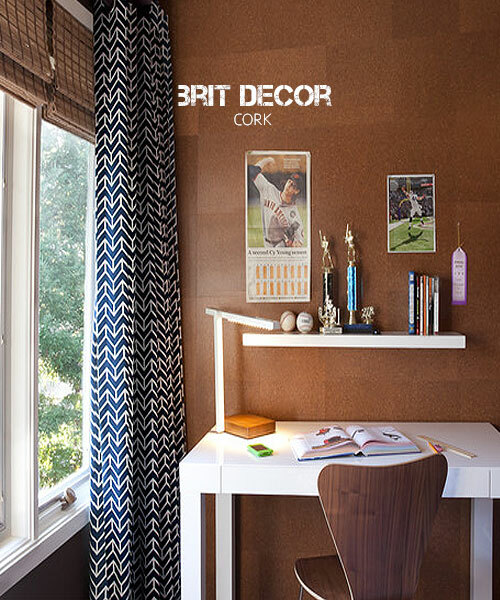 Brit Decor : Home Page: BRIT DECOR: LOVES/ CORK! Durable, tactile and very much in fashion this year; Cork is once again hitting the design headlines with its warm and glowing tones - right on cue for the Summer! I remember owning a cork pin board as a child, which served as a mood board to show off my favourite pop star posters and magazine clippings of the moment, but since then cork has undergone a metamorphosis from a merely practical and somewhat dated material, into something much more considered and beautiful. 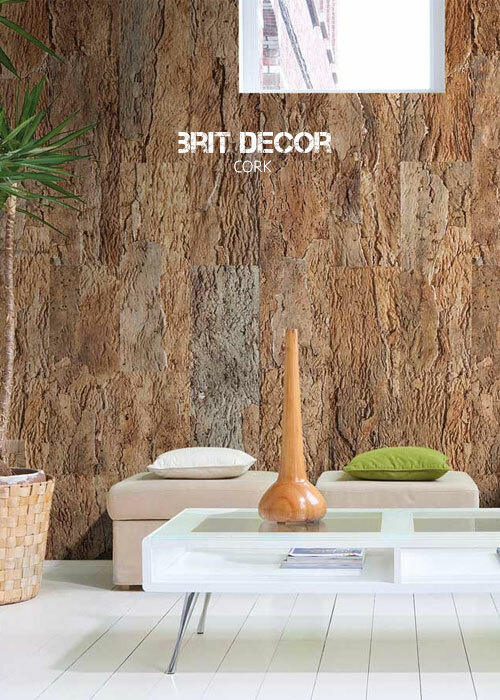 Cork will work as a great choice for a feature wall with its soft-to-the-touch inviting tones. It has all the potential to make a stunning backdrop for a carefully chosen mid-20th Century piece of furniture for a truly that retro chic-look. There are also some fantastic cork inspired accessories available to adorn our homes with too, and as we've been discovering with other materials such as marble, there are now clever and playful alternatives to the real thing. 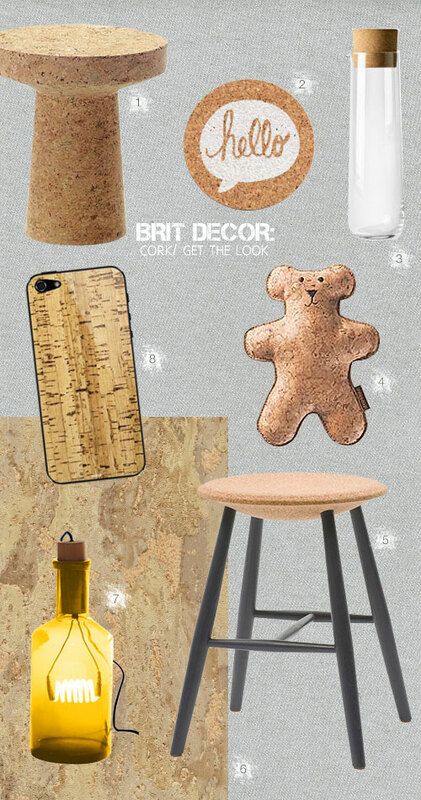 Take for example the extremely cute cork fabric bear (no.4), the cork-inspired iPhone cover for the ultimate Summer accessory (no.8), or the cork-effect wallpaper (no.6) which I'd simply have to touch, all pictured 'below'. If you are still not sure if cork has a place in your home, take a quick peek at the underside of a coaster or kitchen pot stand - the chances are it will be cork-backed. If so, flip it over and use as a mini tester material to see how it looks against different surfaces and colours in your home. What do you think?